Skills and strategies in CMSL (Chinese Mandarin as a Second Language) for students with little or no experience with Chinese. General proficiency development. Integrated language skills and strategies for academic success at university. Lectures 4.5 hours a week, Tutorials two hours a week. Skills and strategies in CSL for students with basic grammatical and oral competence but limited experience with academic Chinese Mandarin. Focus on reading, listening and writing. Introduction to research skills. Make a decision for major and start to register major required courses. 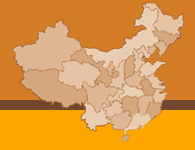 Most Bachelor degree students must include a HUM150 (4 credits) Social Work in China. Experience in a variety of Chinese society. totally 20 credits of Intensive Chinese courses offered. Plus small-groupTutorials. three-month intensive Practicum provides practical on-the-job profession experience that will help you in the comparative job markets after graduation. Chinese Martial Arts such as TAICHI, KUNG FU for self-defense as a credits course.